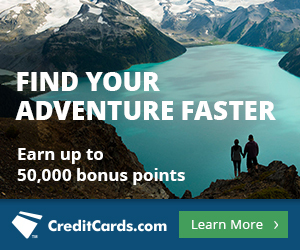 There are six credit cards right now with limited time sign up bonuses between 50,000 and 100,000 points. These are the best offers on the market for cards that can earn you some serious free travel. When do the bonuses end? What are the “normal” bonuses on these cards? The British Airways Signature Visa offers 50,000 bonus Avios after spending $2,000 in the first three months, another 25,000 bonus Avios for spending $10,000 total in the first 12 months, and another 25,000 bonus Avios for spending $20,000 total in the first 12 months. That’s 100,000 bonus Avios for spending $20,000 in the first year, of which at least $2,000 was in the first three months. This offer has been around since September 15 and has no announced end date. The “normal” offer has been 50,000 bonus miles after $2,000 in spending, so the difference is 50,000 extra miles for $18,000 in extra spending in the first year. The “normal” offer has the $95 annual fee waived, but the annual fee is NOT waived during this limited time offer. Avios are best for short, direct, economy flights within the Americas and a few other places. The Citi® / AAdvantage® Executive World Elite™ MasterCard® offers 75,000 bonus American Airlines miles after spending $7,500 in the first three months. This offer has been around since July 2 and ends Tuesday (October 27, 2015). The “normal” offer has been 50,000 bonus miles after $5,000 in spending, so the difference is 25,000 extra miles for $2,500 in extra spending in the first three months. American Airlines miles are the best for super-cheap economy redemptions and ultra-luxury redemptions. The Citi® / AAdvantage® Executive World Elite™ MasterCard® also offers Admirals Club lounge membership, meaning you can access over 90 American Airlines Clubs in airports around the world whenever you’re flying–even if you’re not flying on American. Plus you can bring in any two guests for free OR your spouse and all children under 18 for free on each visit. The Citi® Hilton HHonors™ Visa Signature® Card comes with 75,000 bonus Hilton points after $2,000 in purchases within the first three months of account opening. The card has no annual fee ever. This offer began July 7 and ends October 31, 2015. The “normal” offer has been 40,000 bonus miles after $1,000 in spending with occasional limited time offers for 50,000 bonus points plus a $50 statement credit. The current limited time offer is 25k to 35k more points for an extra $1,000 in spending in the first three months. Hilton points are great for low category hotels and Points and Money stays. 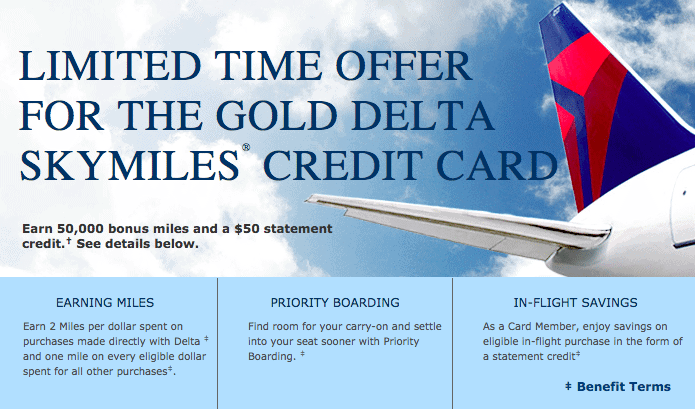 The Gold Delta SkyMiles Credit Card with 50,000 bonus SkyMiles after $2,000 in purchases within the first 3 months of account opening. This offer began a few days ago and ends November 17, 2015. The “normal” offer is 30,000 bonus SkyMiles after spending $1,000 in the first three months, so this offer is 20,000 miles better for an extra $1,000 in spending. The Citi ThankYou® Premier Card offers 40,000 bonus ThankYou Points after $3,000 in purchases within the first 3 months of account opening. This offer began April 20 and has no announced end date. The “normal” offer had been 50,000 bonus points spread out over two years, with 20,000 in the first year and 30,000 in the second. This split bonus also required $5,000 in total spending on the card. The current offer gets you the bonus points faster, for less spending, and with a waived annual fee. ThankYou Points can transfer to 12 airlines or be used like cash to book any flight. The Citi Prestige® Card comes with 50,000 bonus ThankYou Points after $3,000 in purchases made with your card in the first three months the account is open. This offer began April 9 and has no announced end date. The “normal” offer had been 30,000 bonus points, so the new offer gets you 20,000 more bonus points–not that this card is even primarily about bonus points. My FAQ of the Citi Prestige Card explains its many benefits like $250 in airfare or airline fee credits per calendar year, access to the American Airlines Admirals Clubs and Priority Pass lounges, 3x points per dollar on air travel and hotels, and a $450 annual fee. 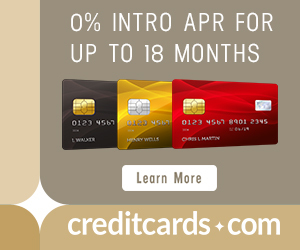 2015 has been a gold mine of improved credit card offers. Many are limited time offers with no listed end date, which makes planning a challenge. Don’t miss out on the offer that appeals to you. Get these 50,000 to 100,000 point cards before they disappear. Under the AMEX Gold Skymiles credit card, you have “with 50,000 bonus ThankYou Points after $3,000”. That should be Skymiles or Skypesos depending on your opinion (and not Thank You Points). Hi Scott, awesome website! What i’m wondering is how you would be able to collect all these miles and points if you weren’t from the US? Since 80 to 90% of your miles is coming from credit card programs which are limited to US only. Any idea on similar programs in Europe? Check out my new e-book for strategies for foreigners. There is a whole chapter on it. The bottom line is you can’t get an American credit card, but you can do everything else I talk about on this blog. Looks like the Citi® Hilton HHonors™ Visa Signature® Card deal was killed a bit early. None of the links are active as of today (Oct 31) and going directly to Citi’s offering of cards shows it offering only a 40K bonus.